From the age of about 4 or 5 months, baby will start to roll over on her/his own and soon after will begin the early stages of crawling. Here is some advice on how to baby-proof your floor area and keep baby happy and healthy when on the floor. Paediatrician Tracey Drummond, M.D., of Care. Stresses that all babies will develop at slightly different rates; but before they do begin to roll over on their own, or crawl unaided; you should start babyproofing your floor area, and then gradually work up to table top heights as they start to pull themselves up to a standing position. “More than 50% of parents wait until their babies are crawling before they begin to ’baby proof’ their living space, leaving children at risk of at-home injury.” For more safety tips, read 30 Ways to babyproof your home. Baby will be on the floor in all the living rooms of your house. Vacuuming daily is fine if you have new carpets, but if they have been laid more than 5 years ago, or you are in a rented house, it is VITAL to have an ANTIBACTERIAL CARPET CLEAN to start with, which removes ingrained dirt from the fibres of the carpet and any traces of MRSA or other bugs living off crumbs and food particles in the carpet fibres. Any lost coins, bits of toys, lost sewing needles, washers and screws, under the chairs or along the skirting boards are all choking hazards for a crawling baby. Don’t waste money on an expensive tool, just decorate a toilet roll cardboard with pretty wrapping paper and use it as a gauge to measure things for choking hazards. If a piece of Lego slips through the tube; it IS a choke hazard, and needs keeping firmly off the floor at all times. If it doesn’t go through, it is (usually) ok to leave on the floor – unless it is likely to be broken by baby. Wires dangling from the bottom of the TV, or running along the floor at skirting level, are all prospective ‘toys’ to a crawling baby, who will want to pull them and chew them – complete with cobwebs and dried insects! Move them if you can, or alternatively, CLEAN them and then TAPE them to the skirting board so they can’t be tugged or chewed. 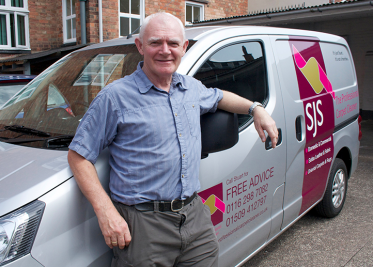 We have offices in Loughborough and Leicester City, so can visit any address from Tamworth to Lutterworth.